Culturally, Pakistan’s rural folk enjoy a seemingly happy and contented life. Not that they tend to be passive and lack initiative. On the other hand our rural folk are more energetic and struggle minded than their city dwelling counterparts. Pakistan is the cradle of Indus Valley Civilization, civilisation that is spread over more than 4000 years of history. Archaeological excavations here have revealed evidence of the meticulously planned cities of Harappa and Mohenjodaro that lived and died along the banks of the mighty Indus and its tributaries. The ancient Hindu epics narrate life between the 7th and 5th century BC which carry rich descriptions of the land and people of Indus at that time. These relics throw light on the culture and changing architectural styles of Punjab since the Harappan age. At Taxila near Islamabad, sites associated with great Gandhara Civilization yielded remarkable relics that showcase the magnificient age of Buddhism in the region. But along with its magnificent past, the rural life in present day Pakistan is as rich even today as it used to be before. The lush green crops which ripen in summer to yield golden harvests, fruit laden orchards which bear delicious fruits similar to those of the paradise and above all a mouth watering food that makes many a chefs to envy. The luscious fruits are so dominant in Punjab’s rural culture that a special variety of mangoes is called Samr-e-Bahisht, literally meaning the fruit of the paradise. The Punjabi folk in Pakistani rural scene are extrovert; sociable guys who like to eat well and dress well. Even in a tight spot, a Punjabi youth would like to twirl his moustache and say “Khair ae” (am quite well”) to those who ask how he’s getting on. He learns quickly and assimilates new cultures without difficulty; family honour is sacrosanct to Punjabi’s, but in other matters they tend to be liberal. It is a matter of pride to be “up to date”. Their enterprise and capacity to work hard are legendary and it’s a deep ambition of Punjabi guys to “be one’s own boss”: many an émigré Punjabi have started life in a strange land driving a cab or working in a café and gone on to buy out the owner within a couple of years. A few generations ago, turban was the “crowning glory” of all Punjabis, but it has now gradually disappeared from the scene. It was once a symbol of Punjab’s honour and status. At the same time it offered a protection against the simmering heat in the Punjab plains. The kurta, a long straight-cut, loose shirt teamed with pyjamas, the loose baggy shalwar, or a kind of sarong called a dhoti or tehmad makes up the traditional dress for men. Winter sees the rustic Punjabi in colorful sweaters that wives and mothers are so skilled in making. A shawl in winter and a chador in summer finish this ensemble. When the urban, educated Punjabi steps out to work he will be in shirt and pant or a suit-sartorially indistinguishable from his counterparts in Tokyo or Toronto. Back home in the evening, he is likely to be found in more traditional dress. The traditional Punjabi shoes, called juttis or khussas retain their popularity with rural folk; they are both elegant and comfortable. Bahawalpur, Sargodha and Hazro in Attock district are famous for khussas. The women in Punjabi villages dress in shalwar topped by a kameez (a garment that can be fitted like a dress loose like the kurta) and accented by a rectangular scarf about 2.5 metres long called the duppatta . She’s fond of her sweaters, but passionately proud of her collection of woolen shawls. Gold is the weakness of Punjabi women – brides are loaded with it. The jewelers of Punjab, stock an enormous range of designs in bangles, necklaces, rings and earrings, nose-pins, ornaments to pin in the hair, anklets and toe-rings. 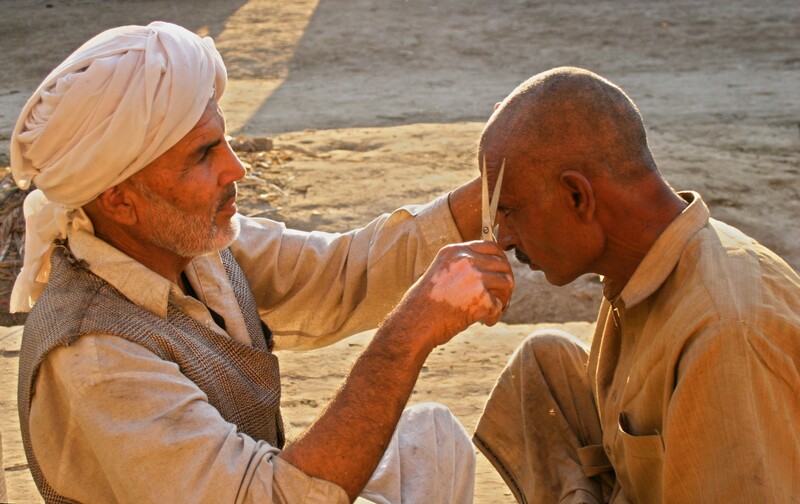 Life in a typical Punjabi village in Pakistan, starts early in the morning. The senior village dwellers along with not so insignificant number of village youth turn to the village mosque for offering their early morning Fajr prayers. After prayer, a delicious rich breakfast awaits the village men. The breakfast itself comprises of either fresh milk (cow or buffalo’s) or a hot brew of tea with a good amount of milk and sugar. After breakfast, the men folk move to the fields where they start performing different chores of cultivation like plowing, sowing, and harvesting depending upon the season. Most villages in Pakistan are situated away from the noise of the city life. They are peaceful and silent places. A typical Pakistani village consists of unpaved paths and streets. Its houses are made of mud. However, with lot of young members from rural families which moved to the gulf as part of the “Dubai Chalo” syndrome, have benefitted from the petro dollars. So the villagers now build their houses from bricks and concrete though most of the village people have simple habits and limited needs. There are green trees, vast meadows, and flowery bushes in every village. The blossoming flowers, fragrant air, the rising and setting sun all leave a healthy influence on the health of villagers. In the summer they rest under shady trees, and take bath in cool water. Women also help their men in their work along with their household. They also take care of their domestic animals such as cows, goats, hens etc. As many small villages are still void of the facilities like safe drinking water and electricity; even hospitals and schools are at long distances, life in the village requires more struggle than the relatively modern lifestyles in the cities. 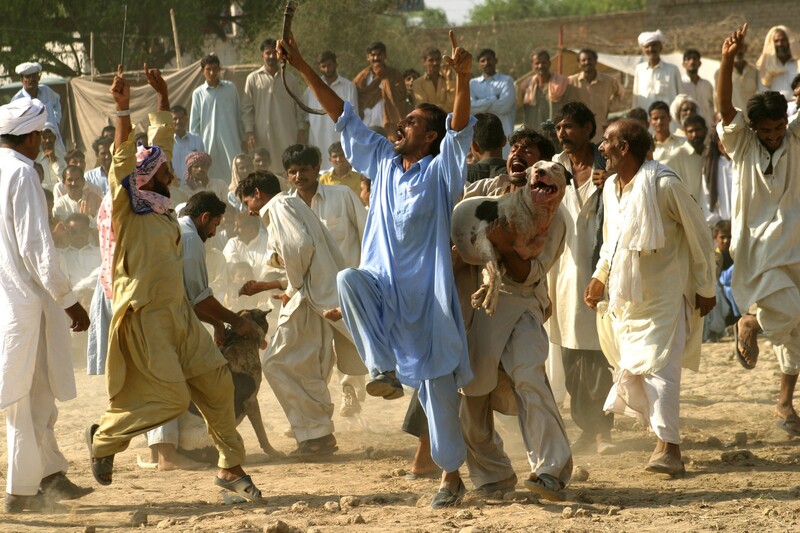 Village life in Pakistan depicts a true picture of our culture. Villagers are very traditional people who are hard workers. They wake up early in the morning with the Fajar prayers and start working in the fields. They work all day long in the field under the sun without caring about the harsh weather. This is the only way for them to earn their livelihood. They live in a serene and clean environment surrounded by green orchids and lush crop fields. There are beautiful flowing streams and ponds. People live in a very well knit community; they help and solve each other’s problems. The elders have great respect and in the evening they gather together in village “chopal” (a community meeting held every day) and discuss their village problems, which mainly surround the water distribution from a mohga (water outlet from a main stream), good or bad crop during the season and some petty matters of biradris. The discussions in a chopal though full of opposite views and dissensions too, yet at the end there is a more amicable end as in every matter the izzat of the village is and should remain supreme in every village dweller’s eyes. Then there will be discussion about lack of basic amenities, they don’t have proper drinking water, no schools and colleges and somewhere even no sewerage system at all. Some villages really need attention so that they can move on the road to progress. Sometimes, we at Wonders of Pakistan use copyrighted material the use of which may not have always been specifically authorized by the copyright owner. We make such material available to our readers under the provisions of “fair use” only. If you wish to use copyrighted material for purposes other than “fair use” you must request permission from the copyright owner. i think man with cart photo is credited to Mr. Razzaq Vance. Five regional cities should be upgraded with in the provinces in Pakistan. Regional cities of Dera Ismail Khan in NWFP, Gawadar/ Qalat in Balouchistan, Sukkar/ Larkana in Upper Sind, Jehlam/ Rawalpindi and Multan in Punjab province. These regional cities have been ignored by the federal and provincial governments although these cities have their own history, culture and languages. The people of these regions have to travel to provincial capitals for every small issue and requirement of the daily life which should be provided in nearby cities. A good number of population travel to big cities for their survival to earn livelihood as the local feudal own majority land and keep the common man as their slaves. Creation of regional government and upgrading of the regional cities will save a lot of money and time of the poor people of these regions. Circuit courts of the High Courts are already working in these areas and only requirement is the additional staff of different departments involved in additional work at the provincial capitals. The concern authorities should immediately consider to upgrade the regional cities. And immediate attention should be given upgrade the airports, hospitals, educational institutes and investment opportunities for Pakistanis living abroad and foreign firms to create jobs in the area. Abbotabad, Gilgit, Hunza, Skardu, D.G. Khan in this list. But with the present turmoil in our political scene there is hardly any provision left to suggest something sane to our politicians. Really wonderful informaion. The life in a village of Tharparker desert is same as in other areas. Thanks for sharing. Though I was in Mirpur Khas many years before but unfortunately could not visit Tharparkar. I understand it is a country highly rich in diversity especially lits craftspeople. I will be glad if you could contribute on life and and culture of Tharparkar and share it with readers of Wonders of Pakistan. Thanks. I will contribute in Wonders of Pakistan. I am writing a story of Life in a Pakistani village. I am going to focus the life in village of desert Tharparker in this week. I look forward to the write up. I will definitely be most glad to put it up on pages of this site so that all can know about this part of Pakistan as well. These days Tharparkar is really looking nice. After good rain greenery has improved Thar beauty. Pakistan would have became Switzerland of the East but unfortunately it has developed an undue rivalry against India since its inception. It has invested its scare natural resource and money on purchasing arms and ammunition from the west on the cost of the progress of its people living in its villages. Illiteracy, poverty, and religious poisoning of the mind of the people has increased the population of the country many fold. Now the country is nothing but a breeding ground of terrorists. as if india has become Europe.. India has more poor than whole continent of Africa. No toilets for majority of population.. most children are born malnourished..
Mr. Gordhan Das, perhaps your name is a distorted name of Gobarahan Das. Such name is very common in India. if it is so, do you know the hidden meaning of your name? Gobar is the soul of the soil. The area where people like you will live and will give due importance to the cow-dung that area is bound to be green and attractive. Actually it is Goverdhan Das. It is name of a mountain in Mathura, India. Where Hindu god Shri Kirshana held it on finger to save people from heavy rain. Mr. Goberdhan Das, Besides the religious story that relates to your name, I would say that it carries a meaning which is now being realized by the scientists too. The massive use of chemical fertilizers is making our earth a barren piece and its crops are bearing that adverse impact not only on human health but also on the health of animals. I was serching some photos about the village life of the Pakistani people. During this search I found this site. Thanks GOD some people are saving the Pakistani virsa. My Suggestion is to protect the ‘inside the house’ life of the villagers. I am a journalist and student of MA (rural devlopment). 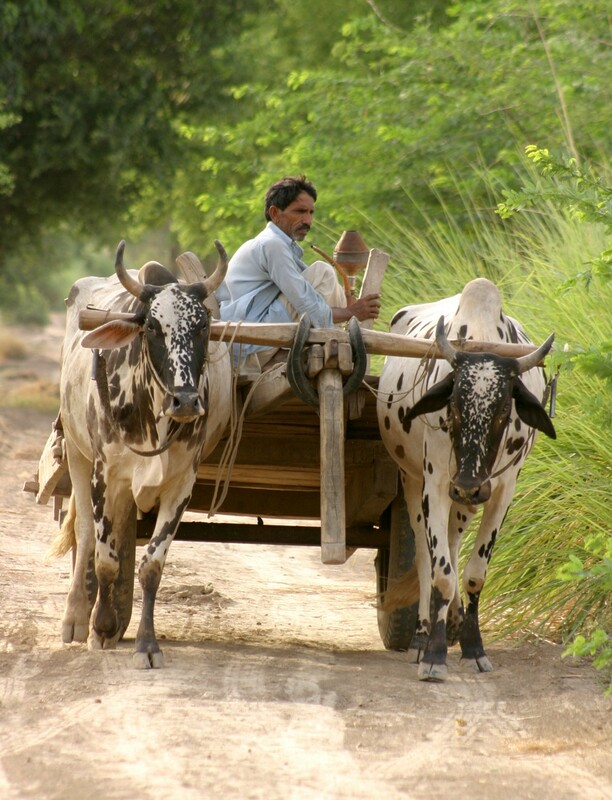 I now know more about rural area, culture and life style of Pakistani rural peaple through your blog. i fully agree with you as i have visited a village of punjab named HANDU GUJJAR recently. i havnt visited any village in my whole life and i was very astonished to see that despite all the modernisation our people are still lacking the basic facilities of life yet they are more patriotic than us their believe is that they should do anything for their country so they should be given attention for improvement. it was a very informative blog as i have got a lot of help from it for my assignment. dear i am the resident of hando gujjer that u visited but now it is no more a village but an industrial area. Thanks Faiqa,, am glad that you liked this blog and got some assistance from its contents. Village life in Pakistan has its own charm but as you rightly point out, it lacks in many respects, even basic amenities which are available to us the urbanites, are not available to our rural folk. So, there is a dire need to bridge the gap between the facilities that are available to us the urbanites vs. the ones not available to our brethren in the rural areas. After reading this whole article, I am really proud to have such effective and influencing people in Pakistan who give such a beautiful visual impact of our country. No wonder that our country shares some of the best artwork, handicrafts, styles and culture with the world. It has best tourists attractions and breath taking beauties of nature……… This whole article provided me with the first hand information and enlightened with some beautiful attractive facts of our beautiful country Pakistan. Thank you. I am proud to be a Pakistani. Me ha encantado como describe ud. esta nación tan bella, sencilla y humilde, me encantaria conocerla, y como se que es uno de mis sueños ir y caminar por sus calles, se que lo hare algun día, me encnatan los trajes tipicos de las mujeres y sus colores y diseños, todo, todo me gusta, Dios le bendiga. AoA. A nice article indeed. very nice article. with very good pictures. i write to a special person who lives in pakistan. he is a wonderful man. i hope to meet and have a futre with him some day soon. I love my village. Gaouon ki zindgi zyada achhi hai. Gaouon main her Cheez taza milti hai aur loag sada zindgi ko tarjih dete hain. You are very right. Village life is simple but beautiful. No hassles, no hectics of the rat race going on in our cities. Clean fresh air, with an ambience that symbolizes our dwelling in nature. May our villages prosper with all their simple beauty and with standard learning, recreation and living facilities for our children right next to their homes in their natural, rural environs. I very much appreciate the way this essay is written. Its full of knowledge and describes our village life in simple words. Village life is much better and comfortable than the busy city life. Thanks Summaiya, I appreciate your visit and comment. Plz do visit us next time with a relevant comment, if you may so like. Thanks so much, this is a great article, you can really get a picture of life in rural Pakistan. I’m doing a research for NGOs on disaster relief, and this can help me a lot getting an idea of how life could be before a disaster happens. But there is question that I cannot find the answer, how do they warm up their dwellings in winter? I mean the ones made out of mud, and without electricity supply. Thanks again. We appreciate your visit Anna Lopez, and are glad that you liked our post ‘Life in a Pakistani Village’. Coming to your question that how do they warm their houses in winter. Well they’ve a unique and natural way of heating their dwellings. Since mud walled houses by itself are quite weather compatible, they, therefore remain cool in summer and relatively warm in winter. But if its too cold, theirs is an ingenious method of warming the houses. They put an iron tray and burn cow dung cake in the tray. The dung slowly incinerates and provides a cozy warm effect to the surrounding in the room where the villagers mostly enjoy their bed room comfort. Your efforts are so wonderful to bring Pakistan’s village culture within the ambit of today’s modern media, the blogosphere. I do appreciate your efforts in this regard. @ Rana Habib ur Rehman, Am glad you liked our post. Plz do visit us next time also with your pertinent comment [if any]. Plz do write also on economic and political issues concerning Pakistan. Articles on political and economic issues [written by writers & analysts who are rated as world’s top class] are frequently put up on these pages. Sometimes I too give my own viewpoint on these and similar issues. I already inserted one on 2/11/11. Its tilled “The Death of Brother Leader and Lessons for us”. (https://wondersofpakistan.wordpress.com/2011/11/02/the-death-of-brother-leader-lessons-for-us/). Another in the series, Insha Allah will be put up by tomorrow. Awesome! It is exactly what I wanted for my descriptive essay on our villages …………….. the description is simply beautiful and I’m indeed very grateful to you. We are glad Eman, that you like our post and, that it was of some help to you in writing your essay. Plz do visit us again, when you feel like with your pertinent comment [if any]. I read all such posts which present the real picture of Pakistan. (Shakir ullah Shakir, Sociologist from District of Lower Dir). Thanks Shakiullah Shakir, am glad that you liked our post. Pakistani villages present a simple but lively and colorful environment. In contrast to the city walas [am myself an urbanite, yet I love the rural culture]. And Shakirullah, you know, the rural folk all around the world are much more, friendly, hospitable and forthcoming. During my stay in Austria, I was once on the Austrian Alps doing skiing there. In the ski runs, I got a strain on my ankle and that gave terrible pain. The skiing village [it was a small village] the doctor attended me with lot of love, diligence and all the expert advice he could render. Above all he refused to accept any fee from me because, as he said, I was the first guest from Pakistan he ever attended in his village and therefore would not accept any thing. Such is the purity of heart amongst village people even in the west. Nice Website & Nice Content …. No matter there are differences between the governments of India and Pakistan, yet the two nations share many commonalities like culture and problems too such as Terrorism, Unemployment, corruption, etc. I have also one question in mind — Are there castes like Rajput, Jat, Gujjar, etc. in Pakistan? Thanks Avinash for appreciative comment on our blog. You are right, India and Pakistan have many things to share, some good, some bad. And there are some problems too between the two of us. Yet despite these problems, we have so many beautiful things to share. So let’s share these beauties of commonness and side by side try to solve our differences. Once we the people understand each other through our commonness, I think we the peoples can then force our respective governments to tread the path of “two nations, one continent”, a concept which was at the heart of our Qaid-e-Azam as well. As regards your query about castes in Pakistan, ya they do exist in Pakistan also particularly in the Punjab province. The caste and clans structure exists in other provinces too, but there, there is more emphasis on tribal lineage than on the castes. I didn’t read your whole post cause i’m not interested in it but am intrested the first picture, can you describe it a little. I think they are celebrating after Pig and Dog fight. The village life in Pakistan is a vast subject, as villagers’ life changes from time to time & Villagers’ community-life here is now strong enough that they enjoy every modern facility and basic needs of life, which previously was enjoyed by city dwewllers alone. Well they enjoy their life I will say, though villagers are still not economically well of when compared to city people, yet they get proper share of what they grow. Villlagers are part of Pakistan, like the city dwellers, hence by and large they are not deprived of modernisation including rural health facilities, education & rural employment opportunities. i like it and appreciate it.. I love Pakistan-Punjab village life. A BHU IS IMMEDITAELY NEEDED IN BAIR FAQIRAN VILLAGE. THIS SHOULD BE THE FIRST PRIORITY. BAIR FAQIRAN VILLAGE IS ALSO WAITING FOR CONSTRUCTION OF A HIGH SCHOOL. AGAIN A PRIORITY MATTER FOR THE RESIDENTS OF THE VILLAGE. its a good job. Its very important that we should know about the life of villagers; how do they spend their life, and things like that. I was so excited to read about the life of villagers when I opened this site. Now I know a lot better about them. Great people always have great mind to amaze the world. I love Ancient India which was spread over the whole south Asian landmass…. The Golden Bird…!! very nice article.. enjoyed while shooting for this article..
Thanx Razzaq Vance for your visit. BTW Razzaq this partucular post has beeen the most popular on this blog. So far it has bagged maximum views i.e. 32, 841. Am not sure but I do believe, the title image was also captured by you. Many readers have asked me, where and from which event was this scene shot. Interestingly one of my email friend, Mr. Zaheeruddin Jeddy has another story about this shot. Am forwarding you by separate mail, the one by Jeddy and would appreciate your comment about this tilte pic. Mairay khayal main Pakistani village jaesa koi village nahi hoga. i love village life .village life is very simple . To say village life is better than the city life is a matter for discussions only. In fact both sectors of our social living are equally good. I, being an urbanite like many good things in the city where I live. But I equally find our villages as much fascinating, lovable and full of life as our cities. Our villages, however, have an edge over the urban life in so far as the environment of our villages is simple, cleaner, and the community living far more of a family type than ‘aap kon haen’ culture of the cities. And above all in villages, every body shares every one’s problems as also the moments of happiness, a trait which is becoming extinct in our cities by every passing day. web I found this web page as a finest web site for latest updates. All pictures used in the article are mine.. and author even not bother to mention ..